Stage Hire. 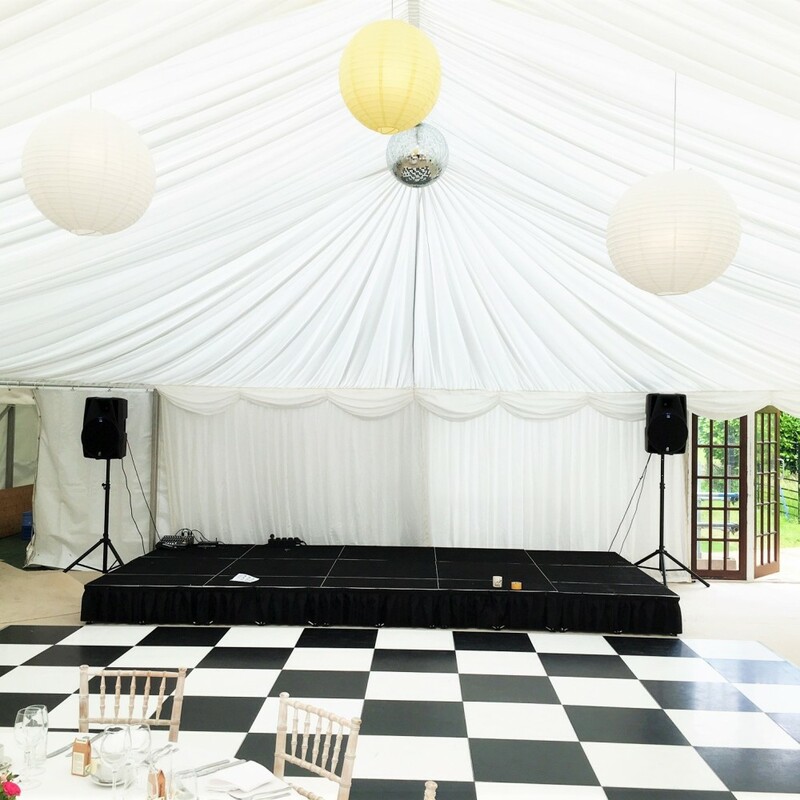 We stock a huge volume of temporary event staging, so if you need to hire a portable stage, large or small, then please contact us to see how we can help today. 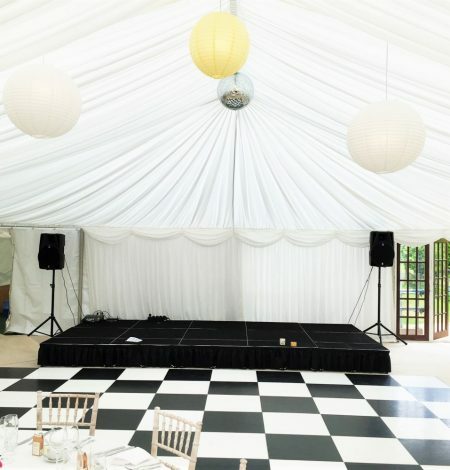 Our staging system is ideal for weddings, school speech days, bands and any situation where an elevated floor is required. 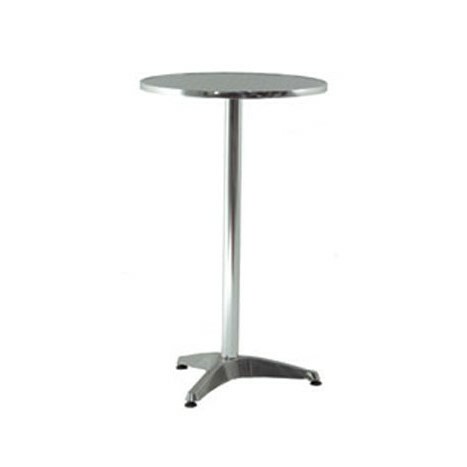 Our professional system is light, strong and easy to assemble. 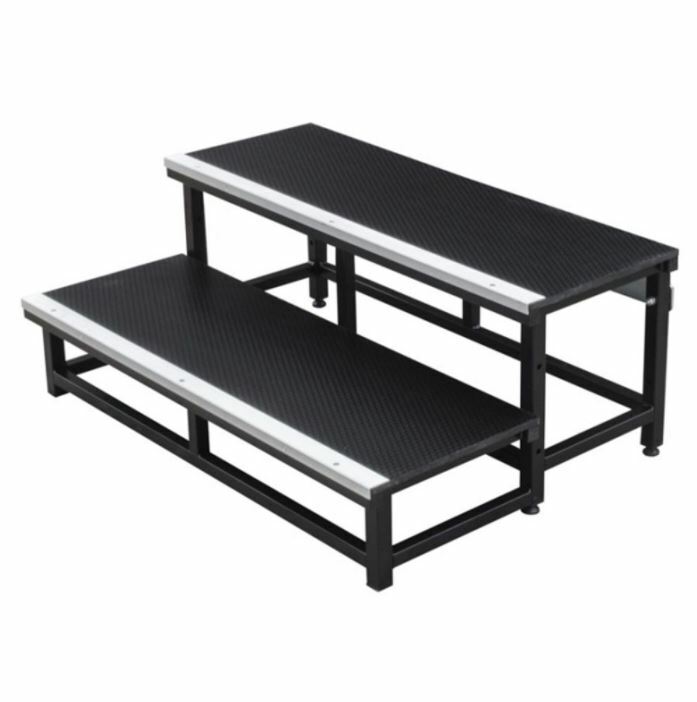 The system comprises of a stage deck and riser, (height as required) with a black valance to cover. 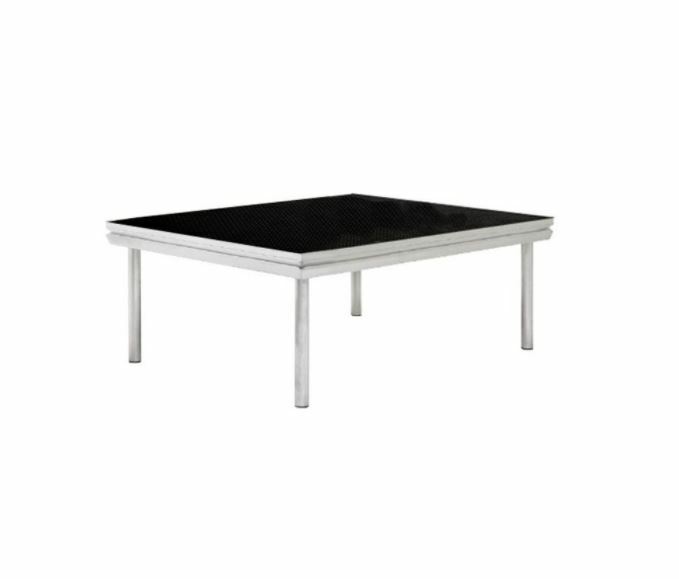 A typical 4 / 5 piece wedding band will require a stage in the region of 5m x 2m but we can build a stage to any size. 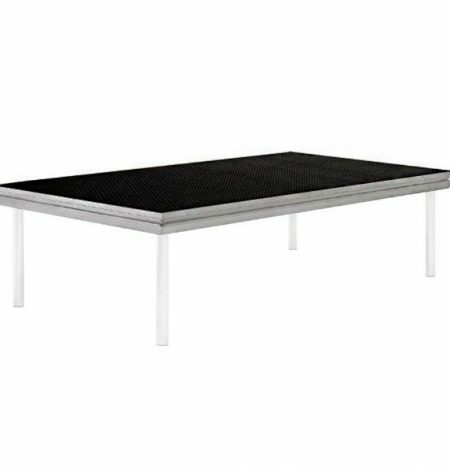 If you are intending to use our stage for a band then why not also take a look at our range of dance floors too. We can also supply and install any electrics you might need from distribution boards to generators. 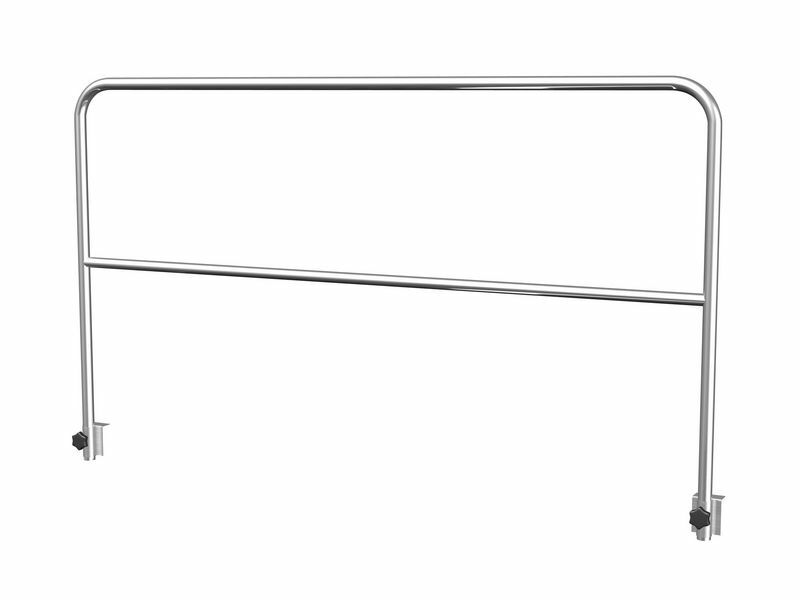 Each of our decks is 2m x 1m and you can choose from either a 30cm or 60cm riser depending on the height you desire. Being able to bear 1 ton per square metre we don’t think there is a better system on the market. All of our staging is also supplied with a black valance as standard.